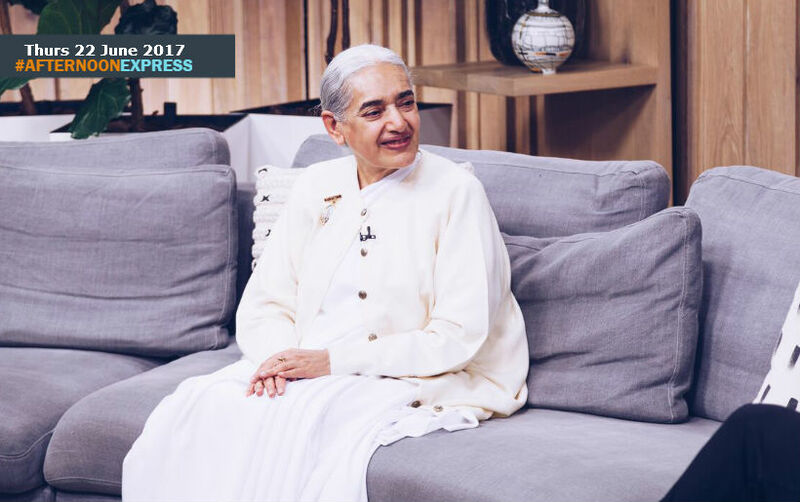 We are joined by Sister Jayanti Kirpalani, the Director of Brahma Kumaris World Spiritual University. Her deeply spiritual vision and experience have kept her a missionary for peace for over 40 years. She has traveled to over 90 countries due to being sought-after as a public speaker, broadcaster and activist, however she is based in London. This is due to the fact that he Director of the International Co-ordinating Office of the Brahma Kumaris (BK) and of BK Centres in over 20 European countries and the Middle East. Sister Jayanti is also the University’s lead representative at the United Nations in Geneva. During her practice through the UN conferences and projects, she has done extensive research into the role of spiritual values in the world. Sister Jayanti assisted in creating the Earth Charter at the Rio Earth Summit in 1992 and prior to the summit she was apart of the Geneva preparatory meetings at the UN leading up to the Rio Earth Summit.